“There’s an epidemic of homelessness in America and most people don’t realize it. It’s not that they don’t care, it’s just that they don’t realize. Bitcoin allows you to open up to a world stage with a local problem. That’s never been possible before with any other monetary device”, King told CNET. According to the numbers shared by the man behind Sean’s Outpost, over 3.5 million people will be homeless this year in the United States. That number means 1 in every 200 Americans lives on the streets. King added that poverty is another problem, as more than 12 million children live in poverty in America. And there is more: in 2014, more than 100 million people will experience some type of food insecurity. The beauty of Bitcoin, King says, is that allows people from all over the world to donate money to foreign organizations without paying giant fees. 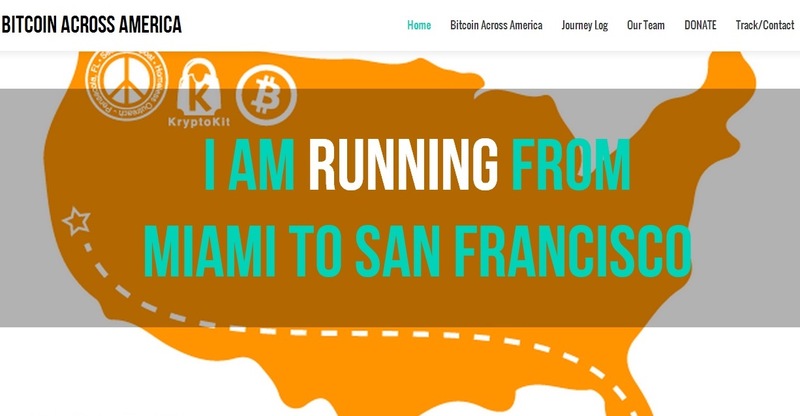 That is why the cryptocurrency supporter decided to run across America, a mission that ends this Saturday (June 7th) afternoon, in San Francisco, at the Bitpay offices at Third and King streets. Running across the entire country I’ve been able to see first-hand how bad the homeless situation is. On the Bitcoin front, I’ve been in all of these small towns and people know about Bitcoin and want to talk Bitcoin. Jason King believes “America likes a spectacle”, so he decided a massive adventure like this one would attract the right kind of attention. “I figured if I did this run I could create a conversation about homelessness and try to find a solution to it”.